Professional, courteous and "on the ball". Thorough, professional and personable pest control service. Very pleasent to work with and does a good job, only downside is not being local and able to respond when called for help in the same day. 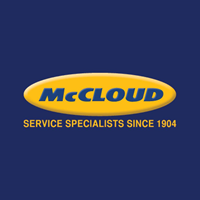 McCloud has done a fantastic job since we contracted them almost 20 months ago. The new "bug dashboard" is really good. McCloud's partnership with my facility is well respected. Rob our service tech is great to work with and very knowledgeable about his craft. I'm very pleased with the service. I look forward to an extended service at my residence. Our technician is always super friendly and respectful of our work environment! I am please with the service and the responsiveness of the management to customer feedback. We have just begun our service at my site but the reputation of your company is well known in our organization. Our Service Specialist, Miguel, has been professional, friendly and very versed in all he discusses. I look forward to continuing our working relation with McCloud at this site. Great dependable service and the use of new technology for saving reports helps make audits a breeze! Our rep is always extremely friendly, professional and helpful! Phillip was nice and very thorough. I'm impressed with the company so far. Rob and Johnny came by last week to get Knott's Foods set up with McCloud. They were awesome! They got us all set up in a timely manner and Rob came and sat down with me to ensure that we had everything that we needed. Mr. James Richardson was very professional, polite, and hope he stays our rep! Please take care of good employees like him because he is the "face" of McCloud, and he represents ya'll in an outstanding manner. Our technician, Phillip, is fantastic! Turn Over with technicians is excessive. This causes disconnects with expectations. Nothing that does not get resolved, just a nuisance. Also wish technicians had wildlife permits to have comprehensive PEST prevention and control. James is a excellent technician. He always gives us wonderful service and he is very informative. We have been using there services for about a year and they do a great great job with our facility very professional. Beltone is a new client wit McCloud and we are very pleased with everything that has been done!